Brills Peng has written up a nice description of his scheduler work for Google Summer of Code, with details on what it does, and how to try it out. Best of all, he plans to keep working on it! Sascha Wildner has added safe(4), which will help if you have a SafeNet chip on your crypto accelerator card. Untested, so you know what to do if you have this hardware. Another batch of code has arrived from Google Summer of Code student work. In this case, it’s code from Adam Hoka’s “Implementing a mirror target for device mapper” project, committed by Alex Hornung. I think there’s potentially more to come. Ferruccio Zamuner is doing a lightning talk about DragonFly at the sixth annual Italian Perl Workshop, September 9th in Turin, Italy. I mentioned this back in May, but now there’s a concrete date, and it’s about a week and a half away. If DragonFly/x86_64 fails to install on your system, but DragonFly/i386 works, try again. Sepherosa Ziehau has a fix for the keyboard controller that may make x86_64 systems boot DragonFly when previously they did not. The next release of pkgin, the binary package installer for pkgsrc, is imminent. I link to the note about this because the new features list sounds good, including a significant speedup. This week has taught me one thing for sure: Always make sure your backup generator is working. And over-plan battery capacity. That’s actually two things, but what the heck. I’m tired, for reasons that can probably be inferred! I’m not the only one suffering these problems, it seems. There is a certain subset of readers here that will find this fascinating: a video of a game postmortem. Specifically, Elite. (via) Needs Flash. This is as good an article as any I’ve seen describing where the tablet computer market is going, at The Economist. Remember RetroBSD, mentioned here previously? Here’s some discussion of it. EuroBSDCon’s 2011 conference is open for registration, but the early bird discount only lasts until the end of August, so jump on it soon if you’re thinking of going. It’s the 10th anniversary of the event! PHP 5.3 is coming to pkgsrc as default, soon? The PHP 5.2 -> 5.3 transition seems to mess up a lot of code because of some changes in the way things are handled, or at least that’s my experience, so watch out. 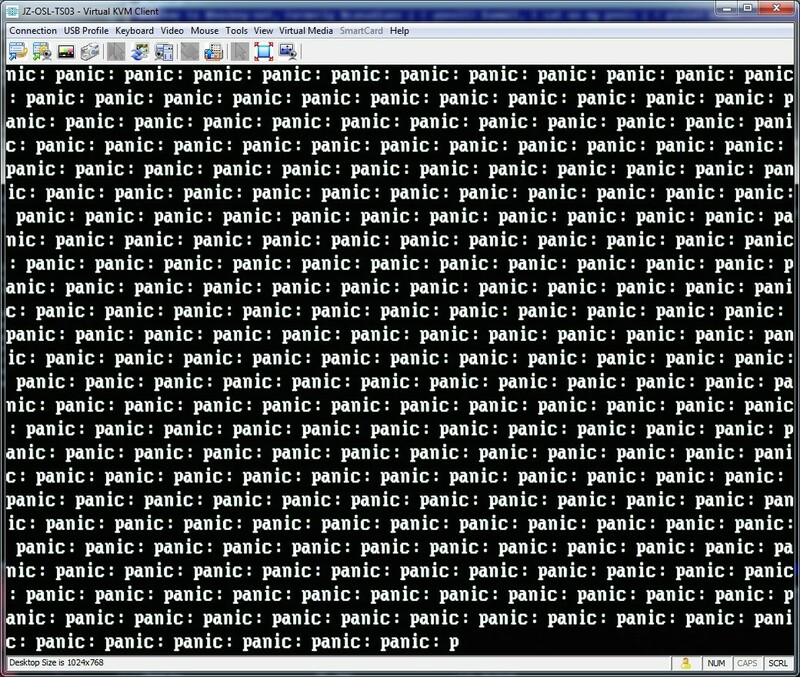 Make sure you aren’t running mod_deflate on your Apache 2.x server. Kristaps Dzonsons, the fellow behind mdocml (which is in DragonFly now and mentioned here before) is working on a mdoc manual. It’s an actual book, with examples. It’s titled “Practical UNIX Manuals: mdoc”, which sounds like part of a series, though I don’t know if there’s anything else. I’d sure like it if there was. (via Undeadly.) Look very closely at the mdoc web page and you will see the markup, too. Neat! Your unrelated comic link of the week: Wonderella. This is the comic that ruined Batman for me. I can’t unthink it. As part of a larger thread, Chris Turner went into a longer explanation of how PPTP connections work. Do you have PPTP working on DragonFly? Please share details! If you’re committing something to DragonFly, or even just working on your own Git repository so as to submit a patch, the new-to-me-and-not-actually-secret committer(7) man page has a lot of tips. I’m linking to it because it holds a lot of information that otherwise would be something you’d have to soak up over time from the community, maybe. Tim Bisson has posted a new batch of patches putting TRIM support into DragonFly. He has a graph in there too! Anton Panev is working on a Google Summer of Code project for NetBSD, adding support in pkgsrc for RPM/Debian package formats. He posted a status report recently; will this come to DragonFly via pkgsrc? I don’t know! Peter Avalos brought in a vast quantity of sh(1) updates, all from FreeBSD as far as I can tell. There’s a whole bunch more commits all on 8/21, but I’m tired of linking. Thank you, Peter! If you have a HighPoint RocketRAID 4321 or 4322 model, Sascha Wildner’s just added support for them in the hptiop(4) driver, taken from FreeBSD. Ah, August. The month where everybody goes on vacation. I’ve been gone off and on for the last few weeks, so my link collection has been slower, but I’ve been able to keep up something. Friday was whyday. (via) I can certainly agree with the sentiment. More BSD videos, this time from BSDCan2011 and Google Tech Talks. The future’s gone meta: there are now game modifications which emulate real computer hardware in that virtual world. (via) It’s not turtles all the way down; it’s emulators. Your unrelated comic link of the week: Nedroid. “Beartato” is one of the best names ever. Yeah, unrelated links seem to always be comics. They offer the most reading. Assertions, in DragonFly, are places in the code where the programmer lists a condition, and tells the system to panic if the condition doesn’t exist. It’s a good way to guard against weird situations, when something ends up with a strange value. Do you actually use them while programming? Then Adam Hoka’s patch to print file name and line number when the assertion hits will be useful to you. It sounds like I’m about to mention something pirate-themed, doesn’t it? Brendan Kosowski needs the rum(4) driver, for (I think) Ralink RT2501USB and RT2601USB wireless. He’s willing to offer a bounty of $100 to anyone who can get it working before the next DragonFly release. Work on it if you can port, or add money if you can use it. Francois Tigeot took an old Summer of Code proposal, VFS Quotas, and started running with it. He’s made some progress, as he detailed in a recent post to kernel@ (with code!) , but the nullfs-mount nature of PFSs in Hammer are making it difficult. Sepherosa Ziehau continues his relentless network feature improvement/porting: this time, adding the ability for DragonFly to recognize more varieties of Broadcom hardware.